After a week or more of cool fall-like temperatures we've had another heat wave. I felt so bad for all those poor kids heading back to school with temperatures in the upper 80's low 90's! 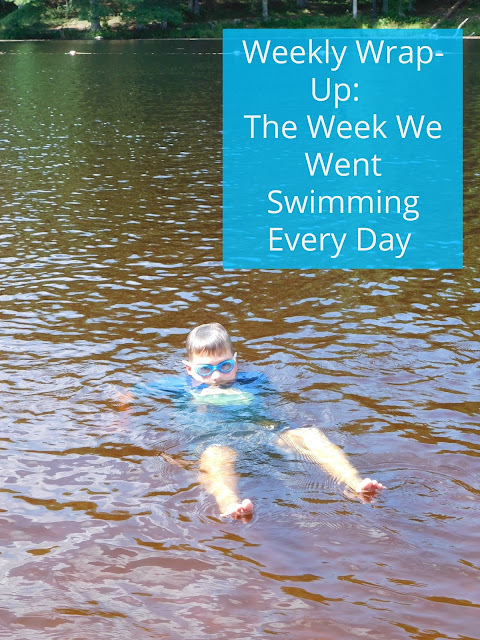 My boys and I kept cool in the lake and ended up swimming every single day this week. Ian headed off to work while the younger boys and I went to the lake on Friday to meet up with my two sisters, their kids, and my mom. We had a nice day at the lake (even if Alec did get stung by a wasp and I forgot my fork and went without lunch!). We had a very long commute home though since there was a large accident and the highway was shut down shuttling everyone off a single exit... then we hit all sorts of road construction the rest of the way home. We opted for take out for dinner since I refused to cook or move the rest of the night. 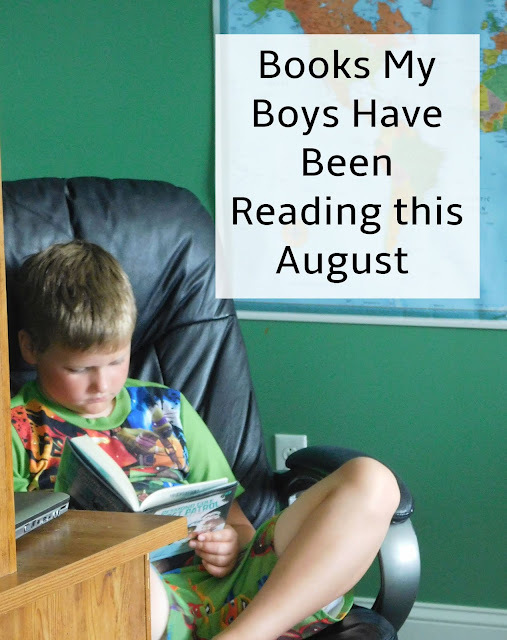 August has been a pretty rainy month and my boys have been spending more time at home. All this extra free time around the house had led to a bit of increased reading! They've all found a few new series of books to try that they really enjoyed too! Desmond Cole Ghost Patrol: The Haunted House Next Door-- Evan got this book from Barnes and Noble for finishing up his summer reading and he just LOVED it! So much that he often read 2-3 chapters a sitting and asked me to read at night and even on weekends! Andres moves into a new home and soon finds that it's haunted. Thankfully Desmond Cole, his new neighbor, is happy to help. The Lost Books: The Scroll of Kings-- Alec loved this fantasy book geared towards tweens. Combining sword play, magic and books it was right up his alley!